In Madden defenders are often lost when a QB begins to scramble. Defenders either break from their assignments or stand in the middle with no clue what to do, often either leaving a wide-open lane for the QB to run through or a receiver streaking up the field with no one to cover. The truth is there is no telling what happens or what will happen when a QB breaks to scramble. I have seen guys in deeper zones start progressing forward towards the QB while guys in closer zones with no one even near them just continue to stand there and watch it all happen. There needs to be some sort of logic to this. A defender with no one in his zone or a linebacker covering a HB who stays in to block should start to pursue the QB and not let them break free for a huge run. A few years ago Madden took some huge strides in Offensive Line AI, and thus resulted in a pretty fluent and well-developed pocket. Now I really can’t say the same. Rather than forming the upside down “U” shape that the pocket should be, it is more of a line created by the offensive line. In my opinion this leads to several problems. The main problem is that the QB containment is almost non-existent unless you call “QB contain” which results in your ends not rushing the QB. A realistic pocket should have the defensive ends crashing the outside as both the tackles aim to push them towards the outside. Without this, just the basic line that is now a “pocket” it makes it far easier for a QB to simply break that line and scramble without much opposition. Sometimes it works just a little too well when it shouldn’t. 3rd and 20, let’s be honest no defender is going to fall for a play action here. Even if they do run it you have 20 yards on the defensive side to stop them from getting a first down. But in Madden, this could work. Without making any adjustments such as play pass the defenders will sometimes fall for this leaving some guys wide open. And this shouldn’t be the case. Defenders need to have some sort of logic to understand the situation. It’s unfortunate that this is still an issue in Madden today, but it really is attributed to broken Offensive Line, and more specifically the inability to properly block from inside to outside. The lack of inside-outside blocking results in open blitzers running free right up the middle, and interior offensive linemen either double team blocking someone with a free runner, or just blocking no one at all. This is a huge broken part of the game that really needs to be addressed. It’s 3rd and 1, who you gonna call? FULLBACK DIVE! Almost a 100% certainty in Madden, but in NFL it really is almost a useless position that continues to be faded out, especially as carrying the ball. You hear of John Kuhn every once and awhile and maybe another here or there, but not on every 3rd and short or 4th and short. But it truly is a give me in Madden, it’s almost impossible not to pick up. Short yardage in NFL is truly tough; there are a lot of 3rd and shorts not picked up from just pounding it up the gut. The community all know of the ease of a FB Dive, and is definitely something that is broken and needs to be fixed. Let us know what you think below in the comments. As always follow us on Twitter and YouTube to stay up to date on the latest Madden NFL news. Previous articleMLB The Show 16 Top 10 Players and Legends At Each Position! 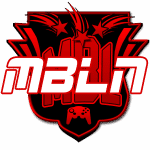 My name is Tom, I am an admin for Madden Bomber League and director of the MBL Network. I host a bi weekly podcast called The Extra Point Podcast where we discuss all things happening in the Madden Bomber League. Join the CFM Movement by signing up on 365.maddenbomberleague.com and check out our ever growing YouTube library MaddenBomberLeague.